There are many clever companies around the world that have started collecting unused soaps from hotels and recycling them into new products, which are then distributed to vulnerable populations through partnering NGOs. 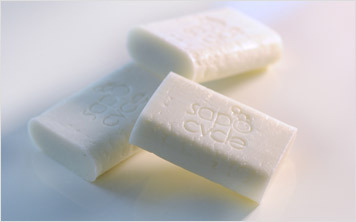 Sapo Cycle in Switzerland, Soap Cycling in Hong Kong, Soap Aid in Australia, Clean Conscious in the UK, Sundara in India and Clean the World in the USA are recycling soap to change lives. This is a hugely important project, when you consider that more than 2 million children under the age of 5 die around the world each year due to two diseases, diarrhoea and respiratory tract infection, which could have been prevented by hand washing. Hand washing with soap is the single most effective way to prevent such illnesses and deaths in children – and is surprisingly more effective than vaccines, medication, or clean water initiatives alone. But still only 1 out of 2 people have access to sanitation in the least developed countries. A win-win – for hotels to divert needless waste and recycle soap and amenities, for employees in need of work, for communities to shift out of poverty, and for vulnerable people for whom a handful of bubbles might mean saving a life. 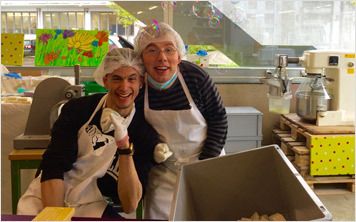 The creation of Dorothée Schiesser, SapoCycle is a non-profit organization based in Switzerland that provides work for people with disabilities in its schemes. Since the founding her company on April 1, 2015, she has collected 7.4 tons of soap that would have landed in the bin, produced 5.5 tons of new soaps and created eight workplaces for disabled adults. 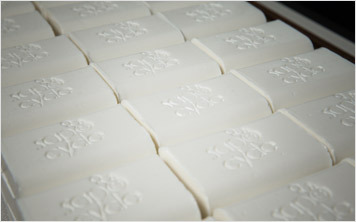 The recycled soap is also used in emergency situations, and has been sent to locations hit by natural disasters.